The theme for today is “after dark”. 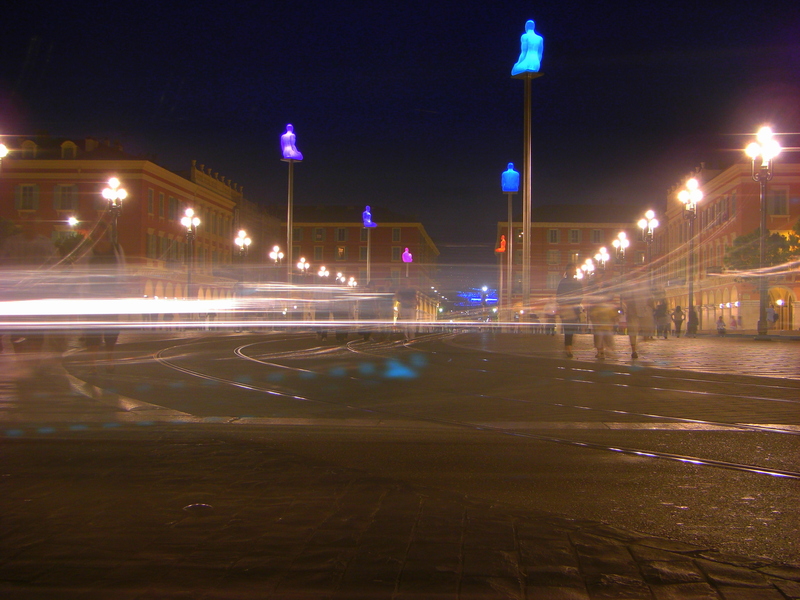 Here’s a photo taken in Nice’s at the Place Massena. Those blue and purple shapes were statues made by Jaume Plensa, a Spanish artist, as part of the Annual Nice Festival in 2009. During the day there were just seven plain white resin statues of men on poles, but at night they lit up from yellow to orange, to red, to puple, to blue, to green. The seven statues represent seven continents and the communication between the different communities of today’s society.